Home \ Blog \ The Rise and Rise of Jen Randall! The Rise and Rise of Jen Randall! 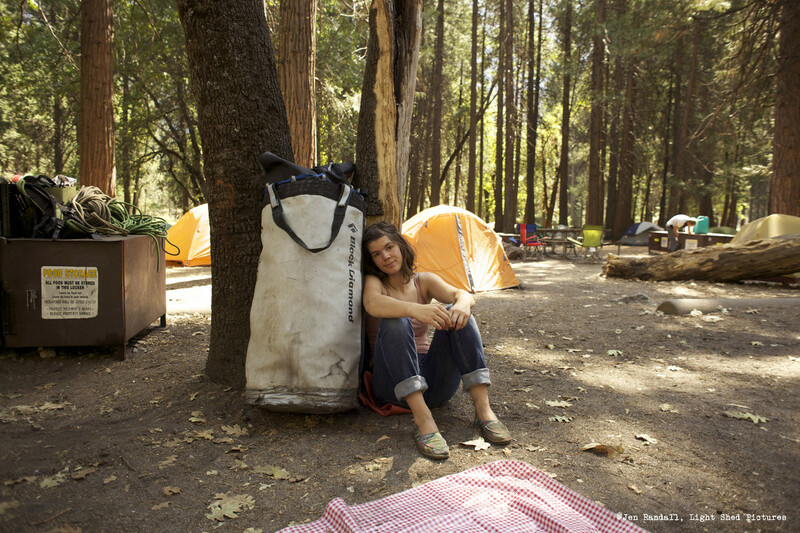 Jen Randall is a leading light for up-and-coming female adventure filmmakers. 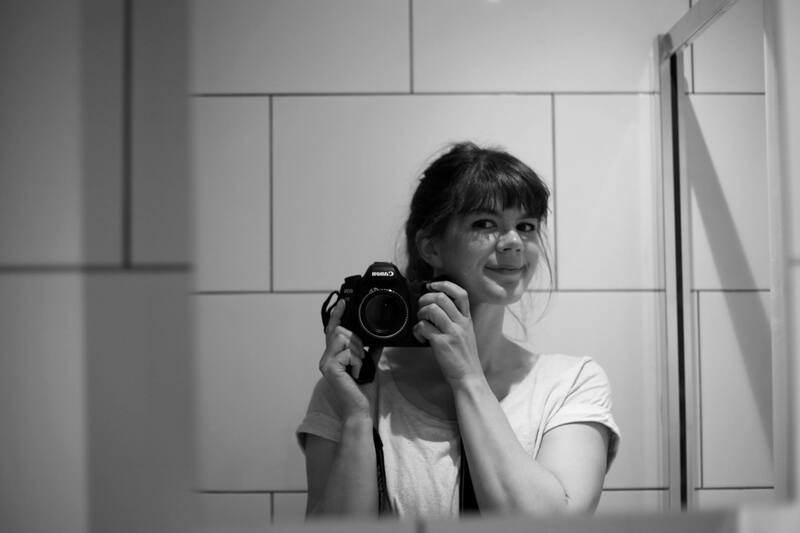 She embodies Shextreme’s ethos of ‘be the change you want to see’ having created several award-winning films celebrating women in extreme sports and setting up her own successful production company Light Shed Pictures. Jen’s latest film production Operation Moffat is a witty and honest film portrait of pioneering climber Gwen Moffat. 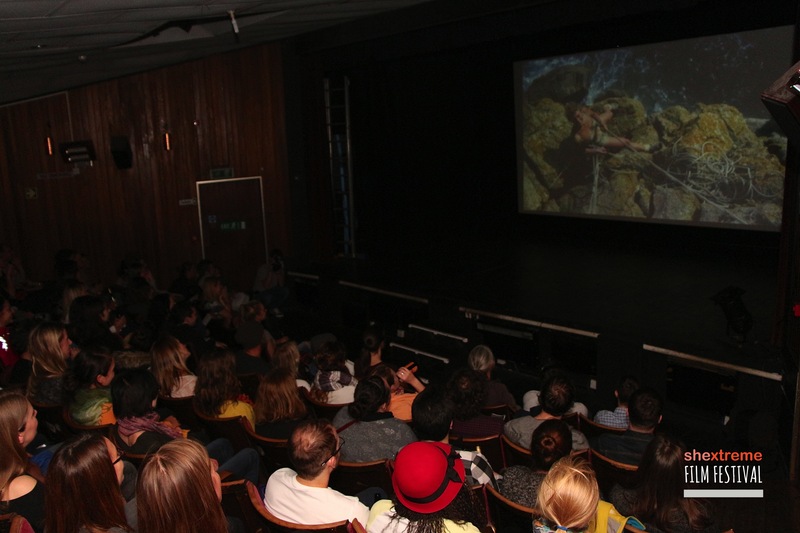 It proved to be a firm audience favourite at Shextreme Film Festival in October. Shextreme was delighted to see Operation Moffat go on to achieve global recognition scooping up wins left, right and centre on the festival circuit this year including a Jury Special Mention award at Banff Mountain Film Festival, Best Climbing Film at Kendal Mountain Festival and most recently Best Film of the Festival at Sheffield Adventure Film Festival! 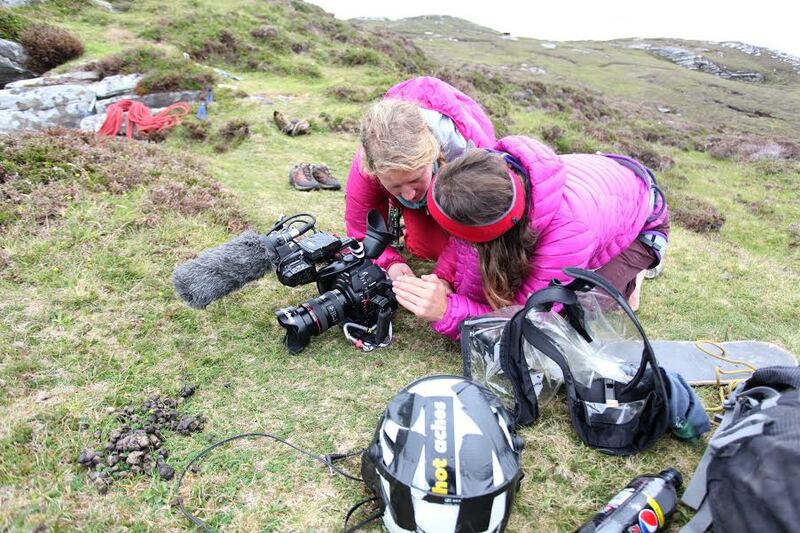 Ruth from Shextreme caught up with wonderfully talented Jen to learn more about what inspires her, what pushes her out of her comfort zone and what attributes one needs to become a successful extreme sports and adventure filmmaker. Was there a specific decision or moment that made you realise your love for filmmaking had moved beyond a hobby and had become your life and living? Becoming a filmmaker has been my goal for a long time, pretty much since I saw Last of the Mohicans in the early nineties. I was always writing stories and scripts and listening to soundtracks and planning my own films for the future, then I studied filmmaking, then I started doing it professionally between other jobs and eventually it became my livelihood. So it’s never really been a hobby for me, it’s been a gradual, deliberate, ongoing process, and I stick with it because I just can’t leave it alone. You have created several extreme sports films for BMC, Epic TV and your your own successful production company: Light Shed Pictures. What film production pushed you the most out of your comfort zone and what did you learn from this experience? 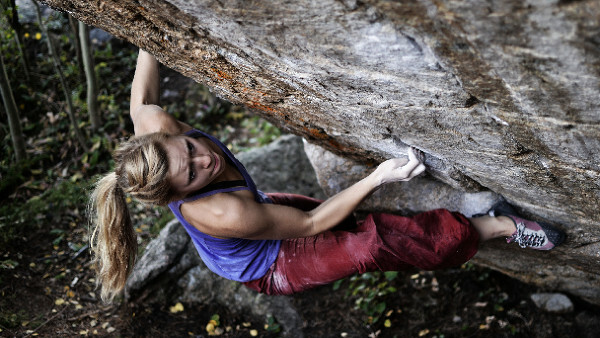 Push It was my first venture into trying to create more of a voice for women in climbing films, which was daunting. It took me over a year to work out how I wanted to go about that/what story I wanted to tell, and taught me that raw honesty is more important than impressive athleticism. Project Mina made me realise how much power you have over a person’s story as a filmmaker, which felt like a big, delicate responsibility. So it taught me a lot about the importance of trust between filmmaker and subject, and also the importance of letting the rough cut of a film ‘cook’ for a while – I had to take a break from this edit for several months due to other work coming up, which turned out to be priceless because I came back to it with much clearer vision. Europe’s Best Crags, a collaboration with my husband for Epic TV, taught us a lot of tough lessons about working under pressure to produce decent work quickly and on the road. It was also the first time that we had to achieve a set number of hits in order to get paid, so we had to work out some kind of marketing plan pretty quickly too. 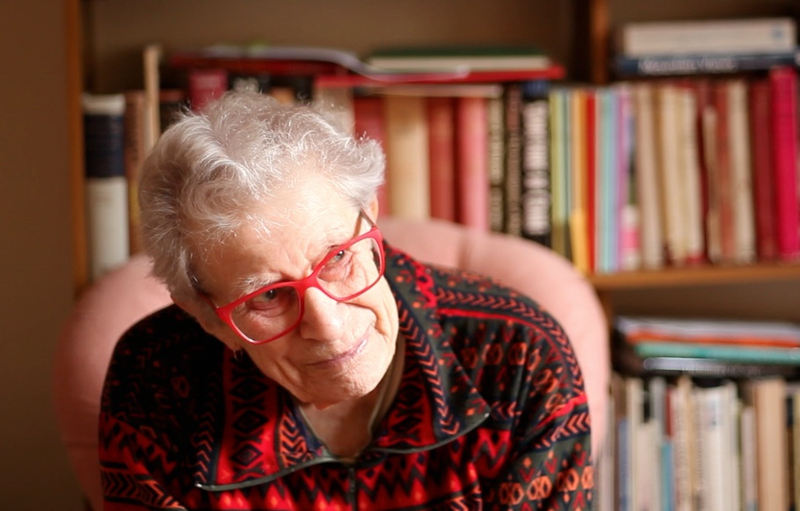 I approached a lot of the short films I made for BMC TV in 2014 (Where Walking Took Me, Patience, Going Up) as an opportunity to work on my cinematography, and Operation Moffat was a challenge, fundamentally because Claire Carter and I had a book, an amazing woman, and 90 years of life, wisdom and adventures to try and distil into a twenty minute film. In the end we took a very personal, genuine approach to the project, and through that I probably re-learned how people really connect with personal, simple storytelling, confirmed by the ten awards it has scooped up since November! But the furthest out of my comfort zone I’ve been in years is making a short film called The Old Lie with Firefly Arts and my good friend and choreographer Natali McCleary, which combined dance, the outdoors and young people. It was kind of like making a film in a different language because I’m so unfamiliar with dance compared to climbing, with a film crew of 6 teenage girls looking to me for guidance and a dance group of 15 teenage boys bouncing around. There were so many factors I couldn’t control on that shoot that it kind of terrified me, and the more ambitious my projects get, and there more expectation there is riding on them, the more I feel like they need to be planned out and controlled. This project reminded me to keep experimenting and letting go here and there. Many of your climbing films feature female climbers from your first feature Push It to your latest award-winning film Operation Moffat. As a female filmmaker, is this coincidental or a conscious decision on your part to focus on telling female stories on screen? From your experience of extreme sports and adventure film festivals such as Shextreme Film Festival, what do audiences want? Is it the role of the filmmaker to worry about that? I try to make films about things I’m interested in, and I’ve found that the chances are if I’m interested, other people will be too because at the end of the day we’re all humans and not that dissimilar. I put my heart and soul into my films, ask questions I’d really like to get to the bottom of, try to understand things, and it seems like if you’re honest and real about that sort of stuff, audiences get behind you. From your experience, what personal attributes make for a successful filmmaker in extreme sports and adventure? It sounds corny but I really think you have to follow your personal take on things and not worry too much about what everyone else is doing. Matt Pycroft, Dom Bush, Nick Brown and I all started out in adventure film around the same time, and it’s been interesting seeing how we’ve all found our way in the industry and how different our work is. I think if we weren’t pursuing what we personally believed and were interested in then we’d all have disappeared by now. To find out why Jen’s film Operation Moffat was the No.1 film everyone was talking about at Shextreme Film Festival, take a sneak peek of the trailer here or treat yourself to the full version here. Here’s to more women supporting female filmmakers in extreme sports and adventure. Go Jen!